Home ANS Feature	What Christmas gift should you give this year? What Christmas gift should you give this year? What can you do about your friends who are not committed Christians? CARSON CITY, NEVADA (ANS — November 17, 2015) — Christmas decorations were already being displayed in October of this year, and this may have prompted you to start wondering what you can do for your loved ones and friends, especially those who don’t seem to care about the real reason for the season. These are people who do not go to church, and have told you that they have no interest in reading the Bible. They don’t even have any interest is seeing Christian movies or listening to Christian CD’s, or tuning into Christian radio or watching Christian TV. Well, despite their non-interest in most things relating to the Christian faith, many in the above group, have loved reading a unique novel called Mary, My Story from Bethlehem to Calvary, lovingly written by international author, broadcaster and journalist, Dan Wooding, who is also the Founder of the ASSIST News Service (www.assistnews.net). 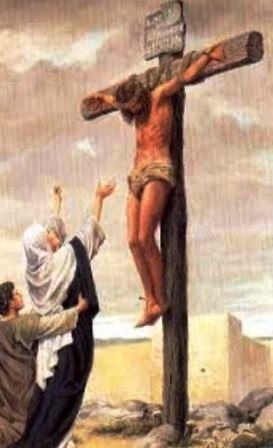 The book tells the “greatest story on Earth” — the life of Jesus Christ through the eyes of his beloved mother, Mary. Possibly, like yourself, a believing friend or relative, gave one of these people last Christmas, a copy of this moving novel, and they actually enjoyed being able to re-live the amazing story of how God sent his only Son down to earth to redeem it. Dan, the writer, asks us to imagine what it was like to be Mary all those years ago. You are a young and poor girl in love, living in Nazareth, looking forward to marriage, when suddenly your life is changed forever when you are told by an angel that you are to become the mother of the greatest person in history, the Messiah, Jesus Christ, and yet you are a virgin. Perhaps one of them read Chapter 8 on the http://marythebook.com/ web site, as part of their Christmas celebration, when they did receive a copy as a gift, they wanted to read the whole story. Because it is written as a novel, with short chapters, it is easy to read. Many people, who had not wanted to read the Bible for any one of several reasons (any excuse will work), discovered they could not put the book down. I found that the story is such a great story, that was easy to read. How many people do you know, who you have been praying for (for a long time) who have not opened their heart to Jesus? The names who just came to your mind are exactly who you want to give a copy of Mary, My Story from Bethlehem to Calvary, to this year. Even if they say, “I’m not interested”, and they put it on a shelf, what if one day they (or a friend) picks it up out of curiosity? The Holy Spirit might use this book for the people you have given up on, to let them discover who Jesus really is. Over this past weekend, the world was in deep shock as the news of the terror in Paris became known. The level of evil we are seeing every day keeps getting worse. The President of the United States is reported to have said that we are “no longer a Christian nation”. That, along with a recent United States Supreme Court decision that redefined marriage, are just two of the major changes in our country that many consider signs of the end of the Church Age. Jesus told his disciples of His Second Coming. Over 700 prophesies in the Old Testament spoke of Jesus. When He came on the first Christmas, He started his 33-year journey, when he fulfilled over 300 prophecies, proving that He was the Son of God. The rest of the 700-plus prophesies will be fulfilled when Jesus comes back for His Second Coming. Naturally, you do not want your friends and loved ones to be left behind for the Tribulation described in the Book of Revelation! What can you do? 1. Pray for a major revival in the United States and the world. Pray for your friends and loved ones that they can ask Jesus into their hearts and be born again. You might discover that these were the best gifts you have ever given. You might be blessed to find that YOU are the one that God used to invite them into His Kingdom for eternity. Indeed, you might want to order three (or more) to have on hand as a last minute gift for Christmas, or any time in the New Year. To find out more about the book, please go to http://marythebook.com/, where you can read the sample Chapter 8, learn about well-known people who have endorsed the book, and also order a copy or copies, that could help transform the lives of your friends. Photo captions: 1) Book cover. 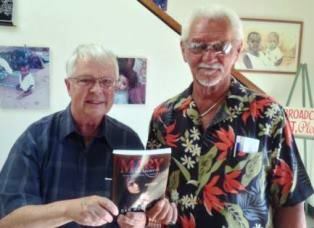 2) Dan, holding a copy of his book, with Norm Nelson of Compassion Radio. 3) Norma Wooding with a copy of Dan’s latest book. 4) Dr. Lawrence E. Nelson. 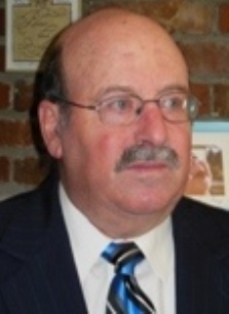 About the writer: Dr. Lawrence E. Nelson is a retired Attorney at Law who practiced in Newport Beach, California. He is retired from law and is now working on a Revival Project. He earned his Bachelor of Science Degree from the USC School of Business, and his J. D. from the Pepperdine University School of Law. You may wonder about his lack of objectivity and passion about Dan’s book, “Mary, My Story from Bethlehem to Calvary.” Well, the answer is simple. 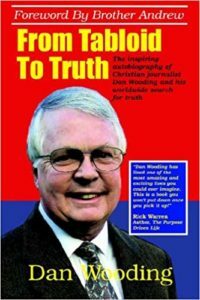 Larry had the idea for the story and asked Dan Wooding to write it.